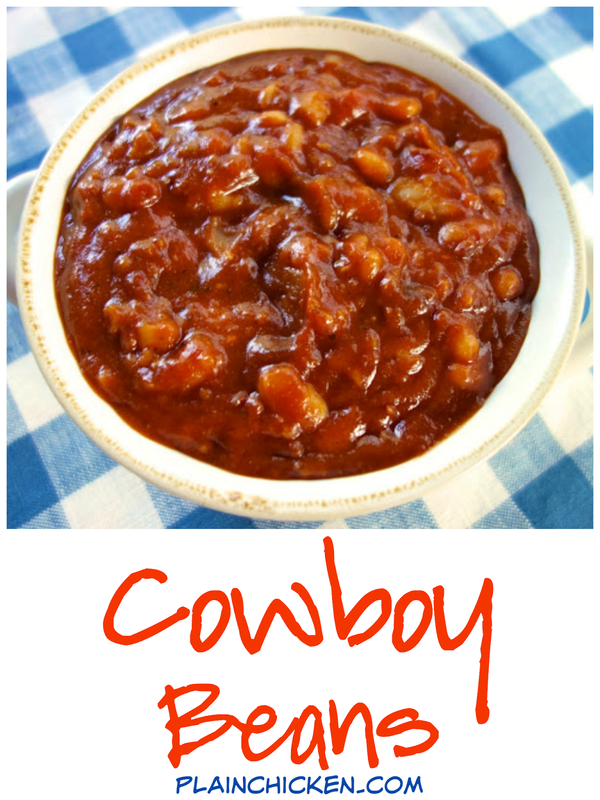 Cowboy Beans Recipe - white beans, bacon, onion, BBQ sauce, ketchup, honey, brown sugar, garlic, mustard, chili powder and vinegar - Bring to a boil and cook for 15 to 20 minutes! Quick homemade baked bean recipe. Great for a potluck! 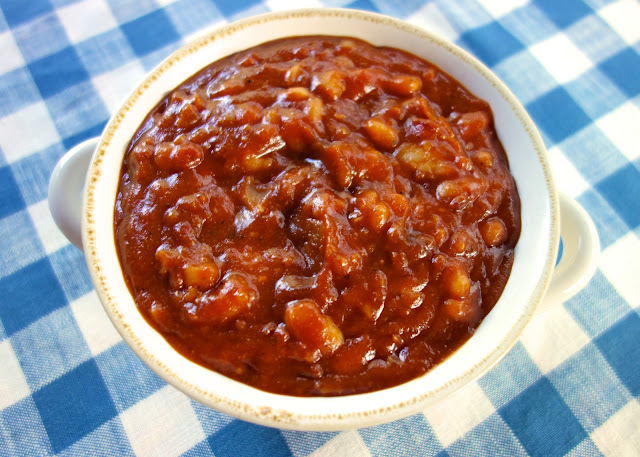 No BBQ is complete without some baked beans. These baked beans are one of the best we've ever made. I made these beans to go with our BBQ Ranch Pulled Pork. They were dynamite! They were sweet, smoky and tangy all at once. This is a great dish for a crowd. You can make them ahead of time and reheat them or even make them in the crockpot. I used bacon in the beans, but, feel free to throw in some of the BBQ Ranch Pulled Pork. It would be a great way to use up any leftover pork. You could make a meal out of these beans loaded with pork. Combine all ingredients in a large sauce pan or Dutch oven. Bring to a boil over medium-high heat. Reduce heat and simmer 20 minutes. I'll definitely give these a try this summer. My mouth is watering just by looking at the picture! Oh my word! I have to make this! 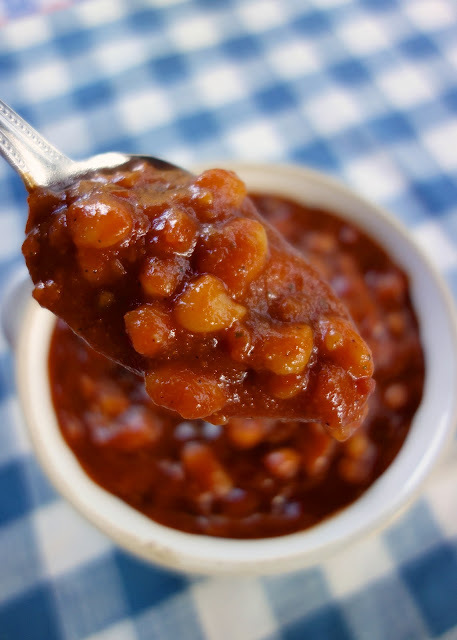 Did you ever try Liquid Smoke in your baked beans? It really is delicious! But anyway, Im going to try your recipe for sure! Yum!! Traci - your menu sounds delicious!! Happy 4th! Made these today and they were out of this world good!!! I made these for our Fourth of July party (actually a double batch) & had NONE left! They were a big hit. Photos on my page. Thank you Stephanie.